Clint Eastwood as the mule in the movie of the same name. SAM Dolnick’s screenplay for director Clint Eastwood’s most recent film is based on Nick Schenk’s “New York Times Magazine” article “The Sinaloa Cartel’s 90-year-old drug mule”. 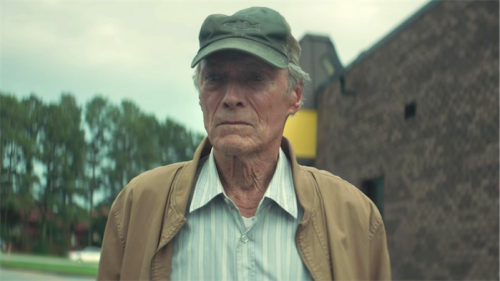 Eastwood plays nurseryman Earl Stone, who at age 90 is persuaded to do what decades of travelling around the US selling daylily plants have resulted in distancing himself from wife Mary (Dianne Wiest) and daughter Iris (Alison Eastwood). Earl is bored. His knowledge of America’s highways and byways is vast. The garage guy who services his ancient ute puts him in touch with another guy who might have work for him. You bet he might. In pretty short order, Earl finds himself driving a top-of-the range ute bought with the proceeds of driving cargos of cocaine to American clients. It’s still a solitary enough life, but the pay is real good and Earl can sing along to music on the radio (including an American version of “I’ve Been Everywhere”). “The Mule” doesn’t show Earl as troubled by the ethics of his new occupation. In time, his south-of-the-border employer dragoons him into larger cargoes and wider destinations. Inevitably the Feds start asking difficult questions. The local DEA area agent (Laurence Fishburne) puts agent Bates (Bradley Cooper) and his offsider (Michael Pena) on the case. “The Mule” moves relatively slowly, spending a lot of time on the road. Its denouement comes relatively quietly, leaving Earl back in the garden (in the prison) and, since Mary’s death, reunited with Iris and her daughter Ginny (Taissa Farmiga). We mere moviegoers are unlikely ever to know where “The Mule” ranks in Eastwood’s personal evaluation. It’s not a bad movie. I consider that Eastwood, who will next year be the same age as Earl is in the film, has made better. Forgiveness is a generous emotion that’s appropriate to remembering what he has given as actor and director to many movie genres since his first role in 1955.